The story begins as Richard Newton, his wife Beth, daughter Sara and son Brennan prepare for a cross-country drive to a family reunion. For Richard, it's a dream vacation. For his family, it's boredom on wheels - until the appearance of a surprise passenger: the huge, rollicking, slobbering, lovable dog, Beethoven. Richard has promised to take Beethoven to the reunion and deliver him to his owner, Richard's brother. Beth and Brennan are less than thrilled with this news, especially when the excitable Beethoven unleashes a string of canine calamities! 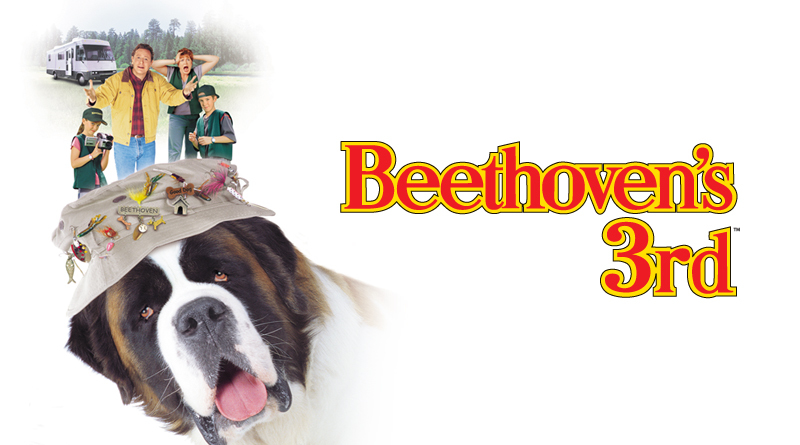 But when two bumbling thieves threaten the safety of the Newtons, it's Beethoven who sets out to put the bite on the bad guys and forever win a place in his new family's hearts.